The NDP voiced concerns about the responsiveness for a group responsible for maintenance of the Balgonie overpass. 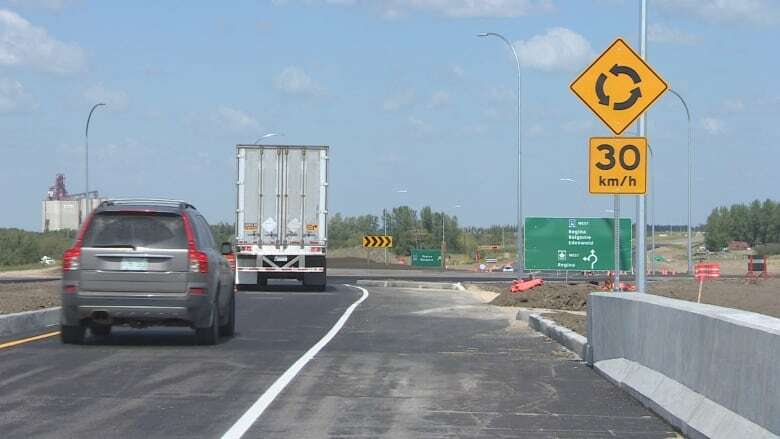 Saskatchewan's official opposition is raising concerns about the responsiveness of a P3 partner when it comes to solving a problem with the Balgonie overpass. According to 2017 documents provided by the Sask. NDP, highway officials discussed the issue after reports arose of a semi truck becoming stuck at Highway 46 and 365 at the Balgonie overpass, part of the multi-million dollar Regina Bypass project. An email from September 2017 states the first call was made to RBDB (Regina Bypass Design Builders) at around 6:40 p.m., with the problem still left unresolved 12 hours later. "Those who are responsible for responding to these types of events must be available," a highway official wrote to an email addressed to other officials. "I have had to personally [attend] to operations issues in the middle of the night to deal with calls such as debris on the road," it went on to say . Another email states: "We discussed this at our informal meeting with RBP/RBDB this morning. From what I can tell the person who was called failed to act on the call." Former chief of staff Jason Wall also wrote: "So why did RBDB not plan for these." NDP Cathy Sproule called the situation "unacceptable" and said it puts residents' safety at risk. Minister of Highways Lori Carr said the issue was resolved. "We wouldn't want anybody else using that roadway if there was a problem with safety so we just wanted to ensure everything was taken care of before we allowed traffic back on there." Asked specifically about the 12 hours wait to resolve the issue, Carr said: "When it's an issue of safety I think time doesn't matter, you make sure things are safe for people to get back on the roadway."